The Sagebrush Community Art Center hosts “Unraveling,” an exhibition of artwork by Tawni Shuler, which opens September 22 at the Historic Depot on 201 E. 5th St in Sheridan. An Artist’s Reception is scheduled for September 27th, from 5-7pm. The show runs through October 27th. Shuler’s her work is inspired by memories of growing up in Wyoming and experiencing the western landscape and its life cycles. She works primarily with painting and drawing materials, in addition to mixed media, such as collected pieces of the landscape: bones, plants and dirt. Her work has shown nationally, and Shuler recently participated in the Jentel Artist Residency Program in Banner. 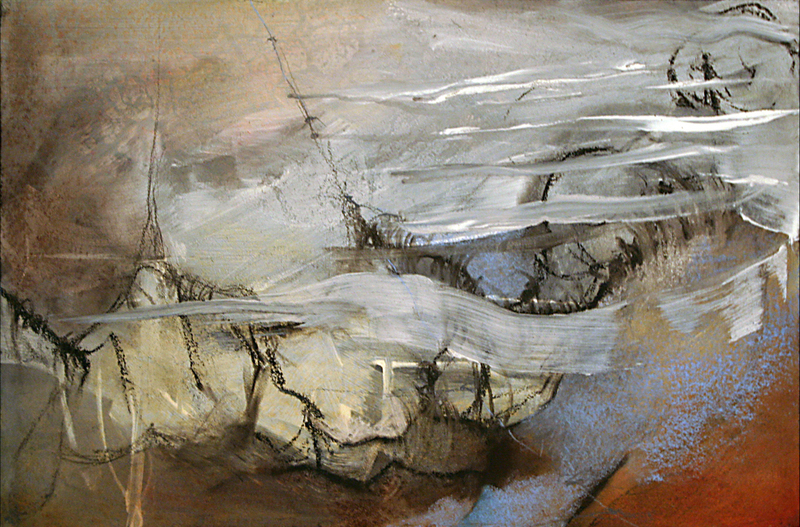 Shuler is currently Visiting Artist at Sheridan College, where she teaches painting and drawing. This Works of Wyoming (WOW) exhibition will showcase artists working in varied media. Subject matter presented is by, for, or about fab women. Submit up to 3 original pieces for consideration in the following categories: original 2-D work, paintings, drawings, mixed media, printmaking, digital media, & photography. 3-D work: sculpture, metal, ceramics, glass, jewelry and mixed media. All work must be new to the gallery at Works of Wyoming (not previously shown), not mass produced, and copyright adherent. All work must be suitably framed, mounted, and wired for installation. Non-glare glass is preferred for photography purposes. Jurors reserve the right to disqualify any work not suitably presented, or any work not corresponding to the entry image or community standards. Size restriction for 2-D work: No larger than 24″ X 24″. This show is open to all artists in Wyoming. How to Submit: submit up to 3 images of work via email to: wow@uwyo.edu as an attachment in jpeg format. Please include title, media or technique, & size of the work in the body of your email. Receipt of the completed application form constitutes your agreement to all conditions established in this prospectus. WOW will provide insurance for all work while onsite, artists are responsible for insuring work in transit. Consent to use photos of work for promotional purposes is assumed unless otherwise stated by artist. CHEYENNE: Art, Design & Dine Celebrate American Craft Week — Click here to see the feature in our Fall 2012 issue of Wyoming Lifestyle Magazine! 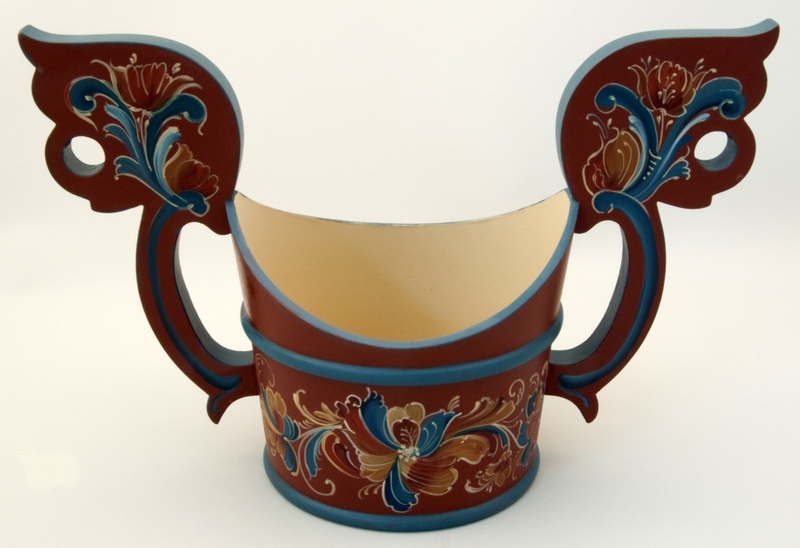 In a world of high tech, instant and mass produced, the hand crafted takes us back to an appreciation of “the irregular and intimate quality of things made entirely by the human hand.” (Willa Cather) Every October, crafts events and artisans around the nation are highlighted during American Craft Week. Crafts supporters can access events across the nation at their website at americancraftweek.com. Art tour organizer, originator, (and talented mixed media artist) Georgia Rowswell found out about the event last year and quickly scheduled a show for her gallery, Artful Hand Studio & Gallery in Cheyenne. “I paired Terry Kruezer with Curt Theobald, both gifted crafts people from the area. Wyoming had no representation on the American Craft Week website that year until my gallery signed up. This year will be different!” proclaims Rowswell. Fiber artist Christi Beckman’s show, Intersections, will be on display at Artful Hand Studio & Gallery. Artist reception will be held during Art Design & Dine on Thursday, October 11 from 5-8 PM. Additional show hours on Friday, October 12 from 5-8 PM and Saturday October 13 from 10-3 PM. Christi will be demonstrating some of her techniques on October 12 from 6-8 PM. Artful Hand Studio & Gallery is located at 302 East 1st Ave Cheyenne WY . The Nagle Warren Mansion (located at 222 East 17th Street in Cheyenne) will be featuring four crafts women: dumpster glass by Beth Ruli; basketry by Linda Behrens; rosemaling by Diane Edwards and quilting by Cindy Paul. The show opens October 1, with an artists’ reception and rosemailing demonstration during Art Design & Dine on October 11 from 5-8. The show runs through October 27. The gallery is open during regular business hours. For further information call 307-637-3333. 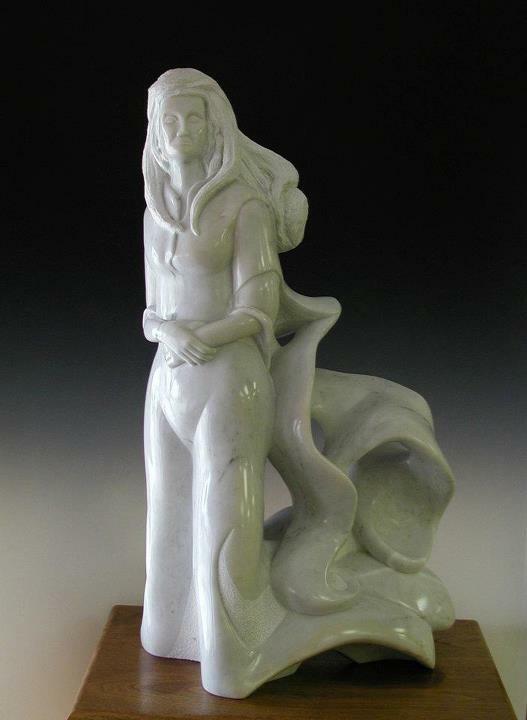 In addition to these lovely women artisans, Steve Schrepferman’s ceramic sculptures will be on display at Clay Paper Scissors Gallery and Studio, located at 1506 Thomes Avenue in Cheyenne. Steve hails from Cody, Wyoming and will be on hand to talk about his work during the art tour on October 11 from 5-8 PM . The show continues until November 30. For more information and gallery hours call 307-631-6039. Artist Heidi Huggins creates custom painted art utilizing the tools of the trade out west. “Ranch and Rodeo are a way of life for me, but more so my art is my life,” Heidi says. 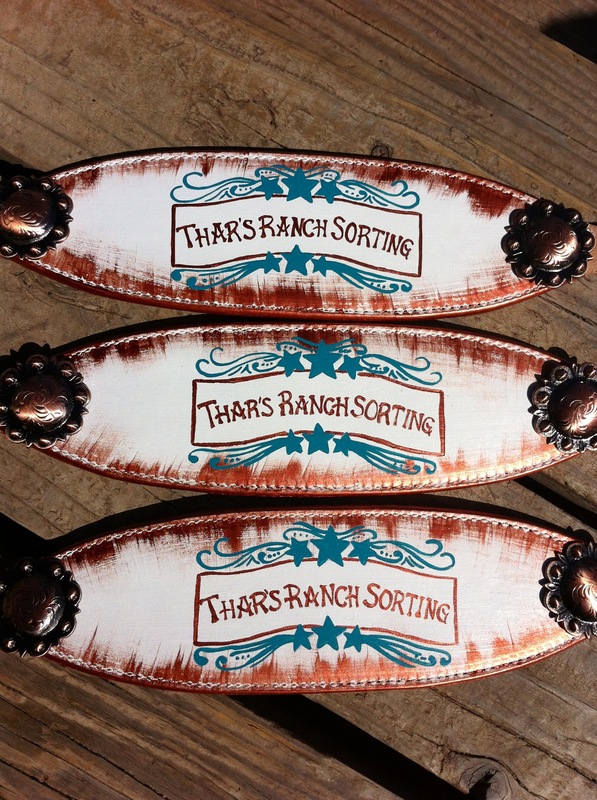 “I strive to combine the two with hand-painted Bronc Halters and other horse tack.” In these awards designed and pictured above, made for the Thar family’s Ranch Sorting event, Heidi is excited to help with events that are geared toward the entire family being able to get out there and compete. “I am very proud to be able to paint award halters for them and any other Wyoming ranch or rodeo club in the future,” Heidi says. This coming weekend, check out the RSNC event , Thar’s Ranch Sorting, at the Gillette Camplex East Pavillion! Sat, Sept 22~ 9am-12am Sun, Sept 23 ~ 9am-8pm Contact: Stacey Thar~ 685-0149 for more info!